Our resident Blade HQ lifestyle photographer, Kurt, takes really rad pictures. When he gets his hands on a knife it’s his job to full geek out and show them only in the best light. 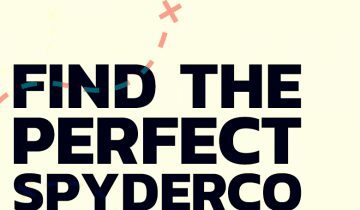 You’ve probably seen his work on product pages, Instagram, and Facebook. 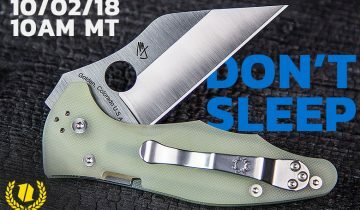 To celebrate our love of knives we present Eye Candy, a series of posts putting together all the best shots to come out of the BHQ photography studio—AKA The Stood. Is there a better Gentleman’s pocket knife than the Chris Reeve Knives Mnandi? 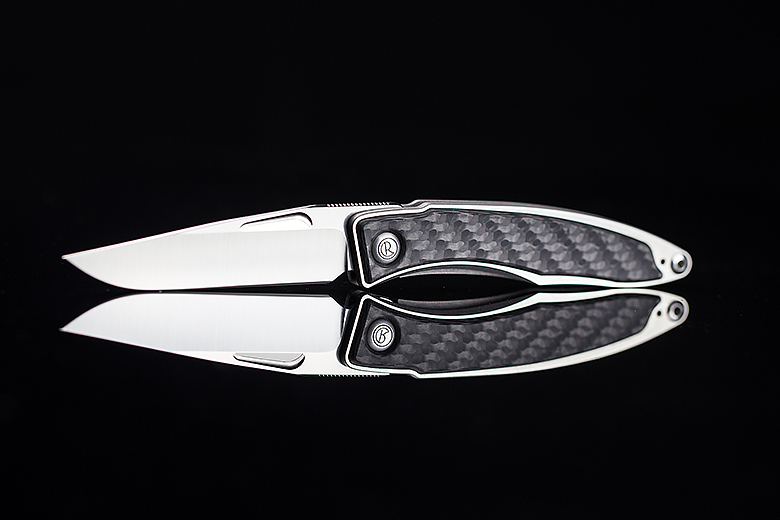 Carbon Fiber inlays compliment a satin finished CPM-S35VN blade and a titanium frame. This knife is the epitome of class. Some men celebrate with a Rolex on their wedding day, and some reward graduation with a fine pair of leather dress shoes. Me? I would prefer the Mnandi. A camp or survival knife needs to be dependable above all else, because what good is your blade if it’s chipped, or even worse—pushed to the point of failure? 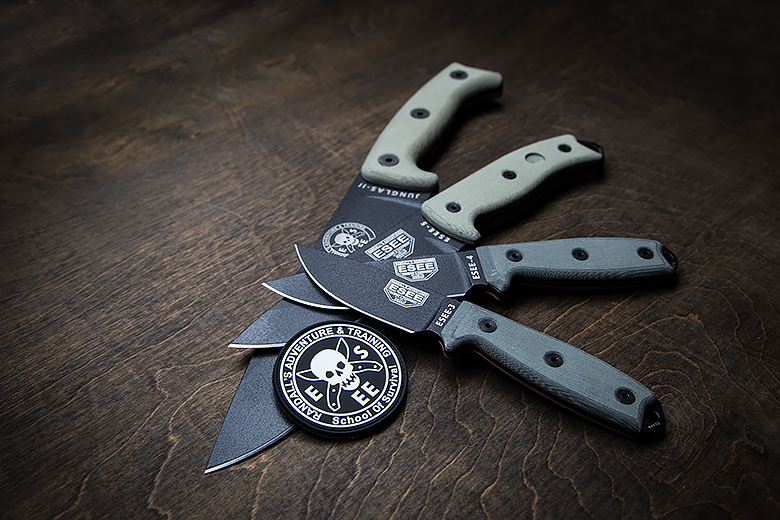 ESEE Knives are famous for rugged construction and high quality materials. It’s also pretty neat that they are crafted right here in USA. 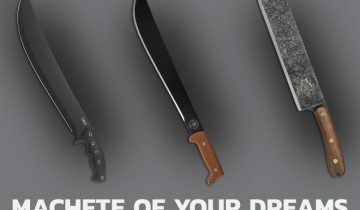 Check out our Best Fixed Blade Knives Guide to see which ESEE came in at number 1! Bold and unapologetic, the WE Knife Co. Zeta is perfect for those that strive to be elegant and unique. Balancing modern art and design, Elijah Isham expertly mixes carbon fiber, titanium, and premium Bohler M390 steel into a refined and understated package. If gray titanium isn’t your thing, check out our How to Anodize Titanium guide for a deep look at the process. 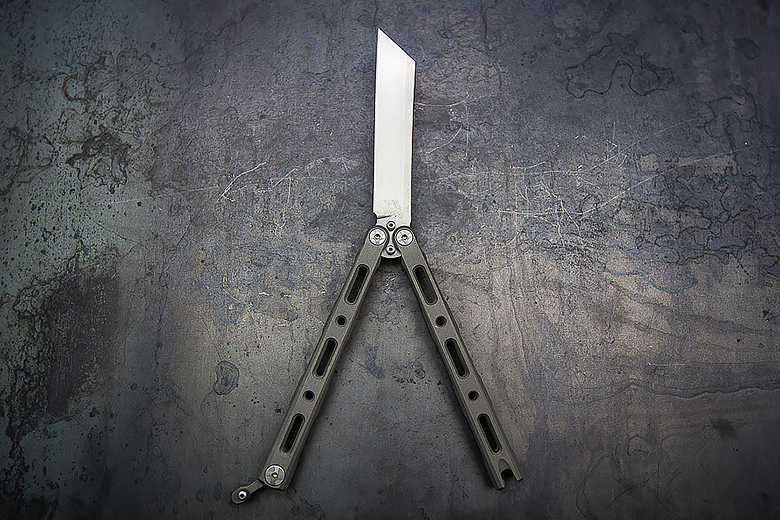 Originally known in the 80’s as Bali-Song Inc., Benchmade still knows how to make a fabulous butterfly knife today. 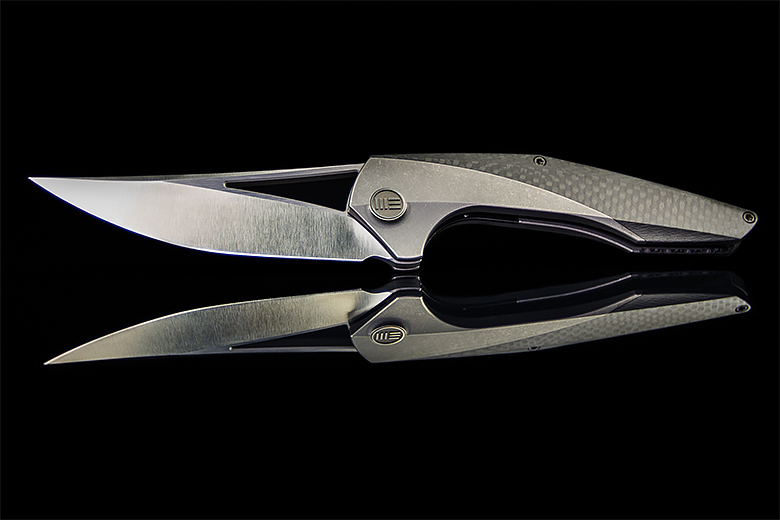 This flipper is the venerable 87, and it’s decked out with a bold wharncliffe blade and heavy titanium handle scales. It doesn’t matter if you’re a butterfly guy or not—a piece like this deserves a spot in any collection. 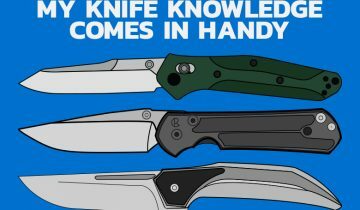 Check out our Best Benchmade Knives Guide to see our top 10 Benchmade knives. Did you enjoy these images? Do you take glamour shots of your knives? Let us know what we should photograph next! In case you missed it, check out our recent Star Wars EDC blog! PLEASE make a article on how to remove corrosion from a 8cr13mov knife. Please I’m freaking out about my Kershaw Dimension!!!! I recommend starting out with a kneaded eraser you can pick up from any art store. If that doesn’t work, a little WD-40 and steel wool would be the next step up. Once you’ve got your knife all cleaned up of rust, apply some oil. If you use your knife for food prep make sure you use a food-safe oil like mineral. If you don’t use your knife with food, we sell a great product called Frog Lube. An oiled knife won’t rust!